The work environment is a place where a major time in an adult’s life will be spent. Commercial Real estate doesn’t need to be bland and boring instead companies should work on creating office spaces that inspire their employees. More often than not, offices with exquisite design tend to keep their employees happy and less stressed (which means increased productivity for their companies). The following offices are considered to be 5 of the most amazing office spaces on the planet. This architectural marvel by Iwaan Baan has once again reached world-wide popularity. This office is located within the constraints of the woods. A touch of nature sure would bring a calming tone to a stressful day. Inventionland Design Factory, located in Pennsylvania, is the headquarters of Davison Design and Development. 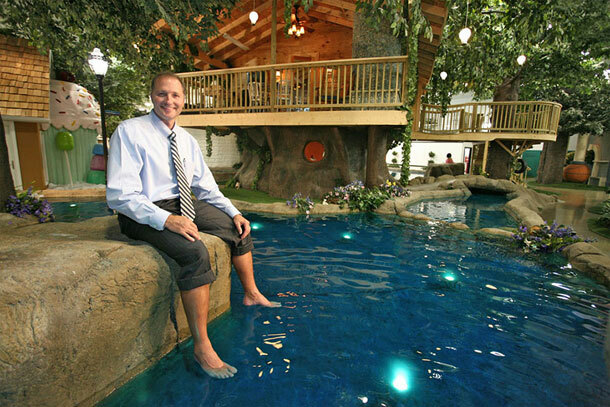 With serene pools surrounding their interior office, it sure provides a cool touch for its employees. Pallotta Teamworks located in the United States boasts of a unique office environment. 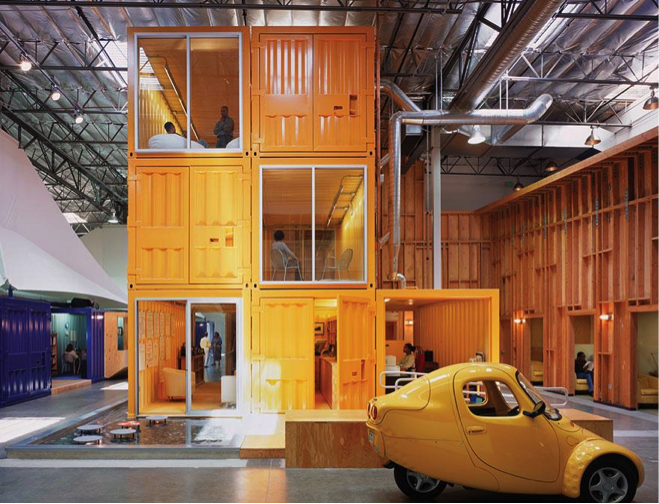 Built from cargo containers, their offices certainly give a perplexing feel that only few have an opportunity to work with. 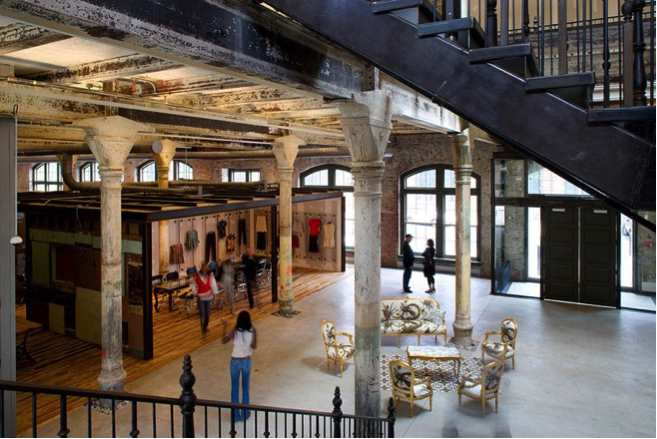 Based in Philadelphia, Pennsylvania, Urban Outfitters has designed their interior office to look like an ordinary street. With offices lined up as one would normally see from stores and its pillars resembling posts common in the street, working inside this office feels like an outside experience. Lego, a company built in Billund, Denmark has certainly been one of the most successful companies in history. Part of that reason is because of their hard-working employees and the company sure wants to repay them by building this awesome office. 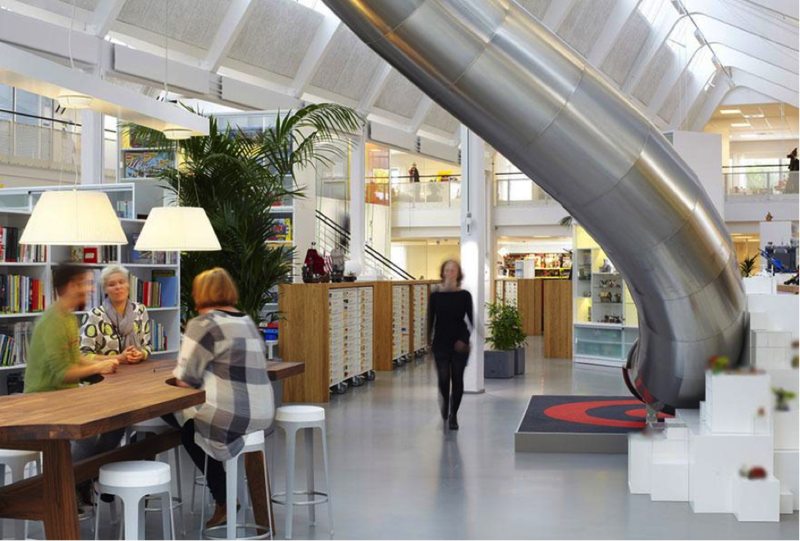 Stacked with slides and tons of recreational activities available to its employees, Lego’s offices surely belong among the 5 most amazing office spaces on the planet. In Cenprop‘s opinion South African companies should work on creating similar creative and relaxed spaces for their employees to work and thrive in.